Penny been a board member of a number of not-for-profit boards including the Central Coast Division of General Practice. She is passionate about supporting integrative doctors and therapists and is a clear and strong voice to guide the future agenda of Integrative Medicine in Australia and New Zealand. 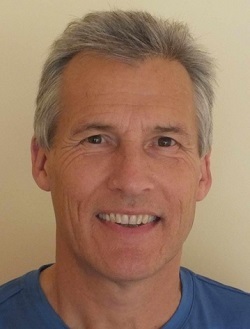 Tim has been working in integrative medicine for the last 25 years and has a health centre near Nelson, NZ. Prior to that he was a hospital physician for 10 years after gaining his medical degree and specialist qualifications in the UK. He has trained in a variety of modalities including nutrition, mind-body therapies, acupuncture, bio-energetic techniques, and environmental and hyperbaric medicine. He has been an advisor to WHO on natural medicine and to the NZ government on CAM. He has a long-term interest in exploring ways to bridge the different paradigms of East and West, and he is passionate in his support for AIMA and it’s role of integrating the best of biomedicine with the best of complementary medicine. This includes expanding AIMA’s role as a peak body for integrative medicine, encouraging research at both the grass-roots of clinical health care and working with academia, and making integrative medicine a highly useful and attractive option for young doctors and health professionals. Joanna is a Lecturer at the Faculty of Pharmacy, The University of Sydney where she specialises in medicinal complementary medicines. Following 15 years of clinical practice as a naturopath in an integrative medicine centre and completing a PhD in nutritional pharmacology in 2013, she dedicated her attention to teaching and research with a view to fostering the appropriate and safe use of evidence-based Complementary Medicine and developing high quality professionally relevant education. She is a visiting research fellow of the Australian Research Centre Complementary and Integrative Medicine at UTS. Joanna’s research interests include: the relationship between coeliac disease and the intestinal microbiome; probiotic efficacy and safety in people living with coeliac disease; the role of probiotics in the health of elite athletes; health literacy and disclosure of complementary medicine use by Australians; pharmacists role in fostering the safe and appropriate use of complementary medicines; and the practice behaviours of complementary medicine health practitioners in the management of individuals with chronic diseases. Matt is an ophthalmic surgeon with additional sub-specialist qualifications in corneal transplant and anterior segment surgery, having completed fellowships at Moorfields Eye Hospital in London and Bristol Eye Hospital. He is a consultant staff specialist at Sydney Eye Hospital and holds a Masters in International Public Health from Sydney University. He has a strong interest in Health in less developed countries having worked with Medecins Sans Frontieres in Ethiopia and was awarded a Churchill Fellowship to study advanced manual cataract surgical techniques in India and Papua New Guinea. He was recognised by the UNSW as the Best Consultant Teacher of the Year in 2013 for his work at St George Hospital. Matt’s interest in gut health was fuelled whilst working with MSF. He has long been interested in integrated approaches to patient care and started researching kombucha tea after reading about its potential benefits in a book written by a big wave Hawaiian surfer. Matt and his wife Lara founded the company WIldKombucha (by Ballsy) in 2013 and currently sell the product on tap in 15 locations in NSW and Victoria. Leila is an integrative paediatrician who combines allopathic medicine with a nutritional and environmental approach to children’s health issues. She ran a busy clinic in Auckland, New Zealand, before moving to Sydney. She received her medical doctorate from the Free University of Berlin and did her paediatric specialist training at the University of California in San Francisco. She received her Master in Public Health from Harvard University and her Diploma in Tropical Medicine from the London School of Hygiene and Tropical Medicine. Leila has worked in the US, Europe, New Zealand, and volunteered for 2 years setting up a rural clinic in Pakistan. Dr Masson lectures internationally on the subject of children’s nutrition and an integrative medicine approach to paediatric issues, including autism spectrum disorders, ADHD, allergies, recurrent infections, and autoimmune diseases. She speaks English, German, French and Spanish. She is the author of “Children’s Health A-Z” a parent’s guide to natural therapies for common childhood ailments. Georgina joined the Board of AIMA to assist in building links between mainstream and functional or integrative medicine and to assist in mentoring and educating general practitioners. She completed her functional medicine certification with the Institute of Functional Medicine in 2016 but has a background in Infectious Diseases, General Medicine and Women’s Health Research. Dr Hale completed Medicine (Hon) at Monash University then embarked on her specialist training at the Repatriation Hospital in Heidelberg Melbourne. Following this, she underwent her specialist training in Infectious Diseases at the Alfred (VIC), John Hunter (NSW) and Royal North Shore (NSW) hospitals. After four years of advanced training, she completed two years of consultant work in the northern suburbs of Sydney before embarking on a research fellowship in the Cedars Sinai Medical Center in Los Angeles. She published her clinical research on the effects of plant and soy isoflavones on the endometrium and endothelial function with Professors Claude Hughes and Noel BaireyMerz. Georgina then returned to Australia and completed a PhD with Professor Ian Fraser at the University of Sydney on the Hormonal Dynamics underlying the Menopause Transition. She is author of several related publications as a result and has continued her interest in midlife and menopausal health. While working on the PhD, Georgina regularly travelled to Port Hedland where she took up the role of consultant General Physician. There, she gained further experience in general medicine, infectious diseases, diabetes, the metabolic syndrome, and indigenous health issues. Since moving to Queensland, she has continued her clinical work at the Sunshine Coast University and Buderim Private hospitals and is an Adjunct Honorary Research Fellow looks at the Sunshine Coast University. She aims to be involved in Functional and General Medicine clinical work and in supervising novel research with the Department of Immunology at SCU. She is also keen to play an increasing role in GP teaching and mentoring. Scott is a retail executive with more than 26 years industry experience. He has a unique history of working in financial services, health food retail and complimentary medicines. He is a strong entrepreneur with skills in Management, Start-ups, Business Development and Marketing Strategy. Scott began his career with Citibank, focusing on delivering the groups global retail banking strategy to the Asia Pacific region. Since then, he co-founded the Venture integrity health group and managed the start-up and expansion of the groups health food retail footprint and Asian export business. Scott has been a non-executive director of Go Vita Distributors Ltd and is an executive director of Venture integrity health Pty Ltd.
Tricia Greenway began her career as a teacher of History, the Social Sciences and Media Studies before returning to study Communication and Sociology. She later worked for the Federal Minister of Aged Family and Health Services, where she gained insights into the mutual benefits of developing consumer input into policy development. Later as Senior Manager of Planning and Policy and Planning at Arthritis Victoria she heard about the increasing use of O.T.C’S and complementary medicine as part of people’s chosen self-care strategies. This awareness and its implications for health literacy and patient safety became a focus of her efforts and as such she was the invited Consumer spokesperson at the then Minister’s national telecast launch of Comp. Medicines Legislation. She was also involved in the design and roll out of the national Self-Management Project working closely with the Federal Health Dept. She has since served as a member of many national committees. These included assessing Sports Medicine and Cosmetic Surgery as a member of the Australian Medical Council’s Recognition of Medical Specialities Advisory Committee, the Complementary Medicines Advisory Committee and the Therapeutic Goods Advertising Code Council. More recently she worked as the Community Engagement Advisor for the Pharmacy Guild’s “Community Needs Project “as part of the preparation for the 6th Pharmacy Agreement. On each of these committees Tricia has seen her role as contributing the gathered perspectives of our diverse community .She can also add her own experiences and that of her own family’s pattern of dealing with chronic disease. Tricia is keen to ensure that people’s decisions to utilise the various proven models of health care are respected in both policy and practice and is delighted to be AIMA’s Consumer Member of the Board.